At CW Fudge Factory we make all our Fudge from stratch right here at our location. Curious to know what types we create. Click the link below to see the type of Fudge we offer. 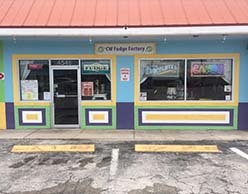 CW Fudge Factory is Matlacha's premier Chocolate Factory. Made right here at our Island Paradise. Click the link below to view our Chocolates. At CW Fudge Factory we have Candies for every taste. Either sweet or sour we are sure you will find the right candies for the kid inside of you. Our Fudge is Made Fresh right In-House. 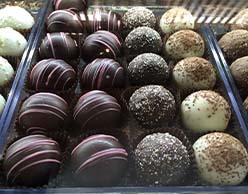 At CW Fudge Factory you will find Delicious Treats, Truffles, Candies, Popcorn, Gifts and more. Thank you for taking the time to view our creative creations. 10 AM. til 7 PM. Click the link below to visit our Facebook page after you have taken the time to see our Delicious Creations, Fudge, Candies and Gift Shop. Don't forget to read about us in the Pine Island Eagle. Click the learn more link below. 2015 Designed & Hosted By Clear Image Web Design All Rights Reserved..